The Mining and Exploration News in Mexico: Highlights on the Fourth Week of February, 2019. During the seventh week of the year (February 25th to March 03th, 2019), at least 21 press releases were announced by companies working in Mexico, with eight informing on exploration results, five communicating production results, three reporting on resources and development of their properties, three announcing financing rounds, and two disclosing deals and corporate issues. ON MEXICO ISSUES, no relevant news. ON EXPLORATION, In Sonora, Minaurum and First Majestic reported drilling results from its Alamo Silver and Ermitaño projects respectively. In Chihuahua, Sable reported drilling results from its Margarita project; Mammoth and its partner Centerra provided an update on exploration activities at its Tenoriba project; and Evrim-Coeur commenced a drilling program at its El Sarape project. In Durango, Southern Silver released drill results from its Cerro Las Minitas project. In Guanajuato, Plata Latina announced results from the 2017-2018 drilling program at its Naranjillo project. In Veracruz, Azucar Minerals released drill results from its El Cobre project. ON MINING, Gold Resource reported Q4 and full year 2018 production results from its Oaxaca Mining Unit in Oaxaca. Premier Gold provided 2019 production guidance for its Mercedes mine in Sonora. Fresnillo plc announced full year 2018 production results from their mining operations. ON FINANCING, Advanced Gold closed a private placement for $369,950 (Tabasqueña project, Zacatecas). Riverside increased its previously non- brokered private placement from $1.5M to $2.3M. Silver Spruce closed a non-brokered private placement for $434,221 (Pino de Plata project, Chihuahua). Evrim provided an update. ON RESOURCES AND DEVELOPMENT, Goldplay announced positive metallurgical results from its San Marcial project in Sinaloa. Mexus Gold confirmed its plan to mine 3,500 tonnes per week from its Santa Elena project in Sonora. Gold Resource updated annual reserve estimates at its Oaxaca Mining Unit in Oaxaca. ON DEALS AND CORPORATE ISSUES, Azure appointed key advisor for the funding to develop its Oposura project in Sonora. Aloro signed a new surface access agreement with the Mulatos Ejido (Los Venados project, Sonora). Minaurum Gold Inc., reported drilling results from its Alamo Silver project in Sonora, demonstrating that three of the new veins mapped host significant mineralization at depth and have the potential for silver­-rich shoot along strike and at depth. Highlights from Phase II drilling of the new veins include 198 g/t Ag, 0.17%Cu, 0.2%Pb, and 0.9%Zn or 269 g/t AgEq over 9.6m in hole AL18-015, including 302 g/t Ag, 0.21%Cu, 0.5%Pb, and 0.8%Zn over 0.9m (San Jose Vein), and 25 g/t Ag, 2.3%Pb, 10.6%Zn or 618 g/t AgEq over 2.85m in hole AL18-011, including 40 g/t Ag, 3.6%Pb, and 16.5%Zn over 1.75m (Ana Vein). First Majestic Silver Corp., announced drill results from its Ermitaño project in Sonora. Significant drill results are 3.4 g/t Au and 53 g/t Ag (327 g/t AgEq) over 30.1m in hole EW-18-35, including 19.4 g/t Au and 139 g/t Ag (1,691 g/t AgEq) over 0.5m and 18.7 g/t Au and 118 g/t Ag (1,614 g/t AgEq) over 0.7m; 11.1 g/t Au and 128 g/t Ag (1,019 g/t AgEq) over 11.2m in hole EW-18-36, including 19.8 g/t Au and 307 g/t Ag (1,891 g/t AgEq) over 1.1m, 70.8 g/t Au and 567 g/t Ag (6,231 g/t AgEq) over 1.3m, 20.1 g/t Au and 122 g/t Ag (1,730 g/t AgEq) over 1.3m, and 32 g/t Au and 326 g/t Ag (2,886 g/t AgEq) over 1.4 m; 6.3 g/t Au and 149 g/t Ag (654 g/t AgEq) over 17.6m in hole EW-18-39, including 17 g/t Au and 520 g/t Ag (1,879 g/t AgEq) over 0.6m, 20.1 g/t Au and 369 g/t Ag (1,980 g/t AgEq) over 1.2m, 8.6 g/t Au and 387 g/t Ag (1,074 g/t AgEq) over 1m, 15.5 g7t Au and 149 g/t Ag (1,392 g/t AgEq) over 1m, 10.4 g/t Au and 180 g/t Ag (1,010 g/t AgEq) over 1m, and 14.4 g/t Au and 192 g/t Ag (1,342 g7t AgEq) over 1.2m; and 3.9 g/t Au and 95 g/t Ag (403 g/t AgEq) over 28.3m in hole EW-18-47, including 21.1 g/t Au and 434 g/t Ag (2,125 g/t AgEq) over 1.1m, 10.4 g/t Au and 184 g7t Ag (1,019 g/t AgEq) over 1.4m, and 11.8 g/t Au and 160 g/t Ag (1,100 g/t AgEq) over 2.1m. Sable Resources, presented the first drill results from the stage II drilling program at its Margarita project in Chihuahua. Highlights are 283 g/t Ag, 0.3%Pb, and 0.8%Zn (298 g/t AgEq) over 33.3m, including 579 g/t Ag, 0.8%Pb, and 1.7%Zn (702 g/t AgEq) over 9.9m in hole M-DDH-19-14, and 101 g/t Ag, 0.5%Pb, and 0.04%Zn (141 g/t Ag) over 4.7m, including 302 g/t Ag, 1.73 g/t Au, and 0.04%Zn (527 g/t AgEq) over 1.2m in hole M-DDH-19-15. Results from hole M-DDH-19-15 allow to extend the strike length of the Margarita structure a further 250m to the southeast. True widths are estimated to be 90% of the intercept based on vein to core angle. Mammoth Resources Corp., and its partner Centerra Gold Inc., provided an update on exploration activities at its Tenoriba project in Chihuahua. Work has commenced and include to continue the mapping and sampling of areas previously evaluated by Mammoth, to cover infill and extensions of these areas, in order to enhance the understanding of the geological features relevant to Au-Ag mineralization, and perform an IP and Mag geophysical survey over the 40% of the mineralized trend already cover by a previous survey, and extend the coverage over portions of the 60% of the mineralized trend not yet covered by any IP-Mag geophysics. After completing these activities, the plan is to drill test new targets generated by mapping, sampling and geophysics surveys. Southern Silver Exploration Corp., released final results from the 2018 drilling program at its Cerro Las Minitas project in Durango. Significant results from the most recent drilling program carried out in the central part of the Skarn Front are 409 g/t Ag, 0.9% Cu, 0.8%Pb, and 8.4%Zn (871 g/t AgEq; 24.6% ZnEq) over 2.6m (2m TW), including 477 g/t Ag, 3.7%Cu, 0.6%Pb, and 32.3%Zn (2,181 g/t AgEq; 61.1% ZnEq) in hole 18CLM-115, and 640 g/t Ag, 1%Cu, 16.7% Pb, and 22.4% Zn (2,117 g/t AgEq; 59.8%ZnEq) over 1m (0.8mTW) in hole 18CLM-115. At Las Victorias Zone, hole CLM-117 intersected 202 g/t Ag, 1.6 g/t Au, 3.8%Pb, and 1.8% Zn (501 g/t AgEq, 14.2% ZnEq) over 2.3m (1.2m TW), and 71 g/t Ag, 0.1%Pb, and 3.3% Zn (220 g/t AgEq, 6.2% ZnEq) over 2.8m (2.4m TW). Plata latina Minerals Corporation, announced results from the 2017-2018 drilling program carried out by Metalurgica Reyna S.A. de C.V., a wholly owned subsidiary of Fresnillo plc at its Naranjillo project in Guanajuato. Highlights include 5,507 g/t Ag and 34.74 g/t Au (8,401 g/t AgEq) over 3.13m (TW) in hole CB-96; 4,978 g/t Ag and 5.57 g/t Au (5,443 g/t AgEq) over 2.31m (TW); and 3,598 g/t Ag and 32.10 g/t Au (6,272 g/t AgEq) over 4.72m (TW). 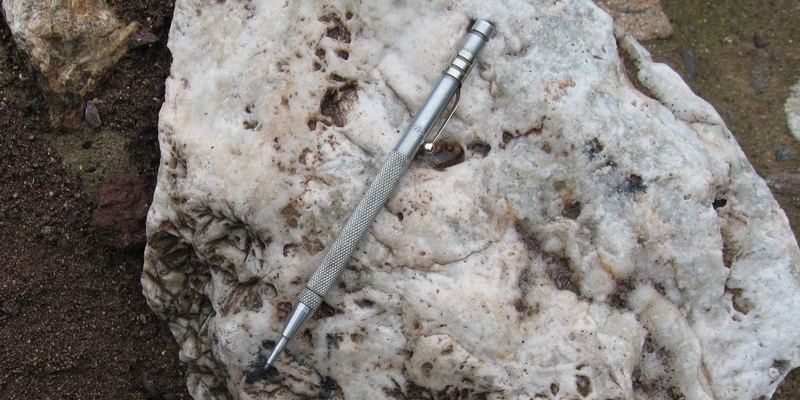 “The drill results from Naranjillo continue to demonstrate the discovery of a significant and extensive epithermal vein system, typical of the Mexican Silver Belt”. Azucar Minerals Ltd., released drill results from its El Cobre project in Veracruz. Significant drill results from the Villa Rica area are 0.23 g/t Au and 0.15%Cu over 161.20m, including 0.51 g/t Au and 0.43%Cu over 18m in hole EC-18-052; 0.21 g/t Au and 0.16%Cu over 116.30m, including 0.85 g/t Au and 0.39%Cu over 12.40m in hole EC-18-054; and 0.14 g/t Au and 0.16%Cu over 87m, including 0.34 g/t Au and 0.35%Cu over 12m in hole EC-18-057. Gold Resource Corporation, reported Q4 and full year 2018 production results from its Oaxaca Mining Unit in Oaxaca. In Q4, 163,999 tonnes were milled to produce 7,974 Oz Au, 330.6K Oz Ag, 990K Lb Cu, 4.5M Lb Pb, and 12.48m Lb Zn. In 2018, the company milled 611,670 tonnes to produce 26.8K Oz Au, 1.67M Oz Ag, 3.7M Lb Cu, 16.3M Lb Pb, and 44.37M Lb Zn. Premier Gold Mines Limited, provided a guidance production for its Mercedes mine in Sonora, where it expects to produce in the year 2019 over 75K-85K Oz Au and 225K-250K Oz Ag with a cash cost of US$730-750 per Oz Au or US$900-950 AISC per Oz Au. Great Panther Silver Limited, presented Q4 and full year 2018 production results from its mining operations. The company did not report figures by unit mine. During Q4, it milled 89,270 tonnes to produce 438K Oz Ag, and 4.1K Oz Au or 951.8K Oz AgEq, with a cash cost of $12.88 per Oz AgEq or an AISC of $15.62 per Oz AgEq for Q4, and $12.63 and $15.72 respectively for the full year 2018. Advanced Gold Corp., closed a private placement for $369,950. Net proceeds will be used to fund the phase 3 drilling at its Tabasqueña project in Zacatecas. Riverside Resources Inc., increased its previously announced non-brokered private placement from $1.5M to $2.3M. Gross proceeds will be used to fund a drilling program at its Cecilia project in Sonora, additional project acquisitions, and target refinement on existing projects. Silver Spruce Resources Inc., closed a non-brokered private placement for $434, 221. Gross proceeds will be used to prepare initial drilling of its Pino de Plata project in Chihuahua. Goldplay Exploration Ltd., announced positive metallurgical recoveries for initial test work from its San Marcial project in Sinaloa. 74 drill core samples were selected from the mineralized zone, including the oxide transition and sulphide mineralization with a total of 146 Kg. Metallurgical results indicate that the high grade Ag mineralization is amenable to standard cyanidation processing with recoveries ranging from 82% to 92% Ag. Mexus Gold US, confirmed that with its first stage of exploratory core drilling complete, it is moving forward with its plan to mine 3,500 tonnes per week from Julio II area within its Santa Elena project in Sonora. 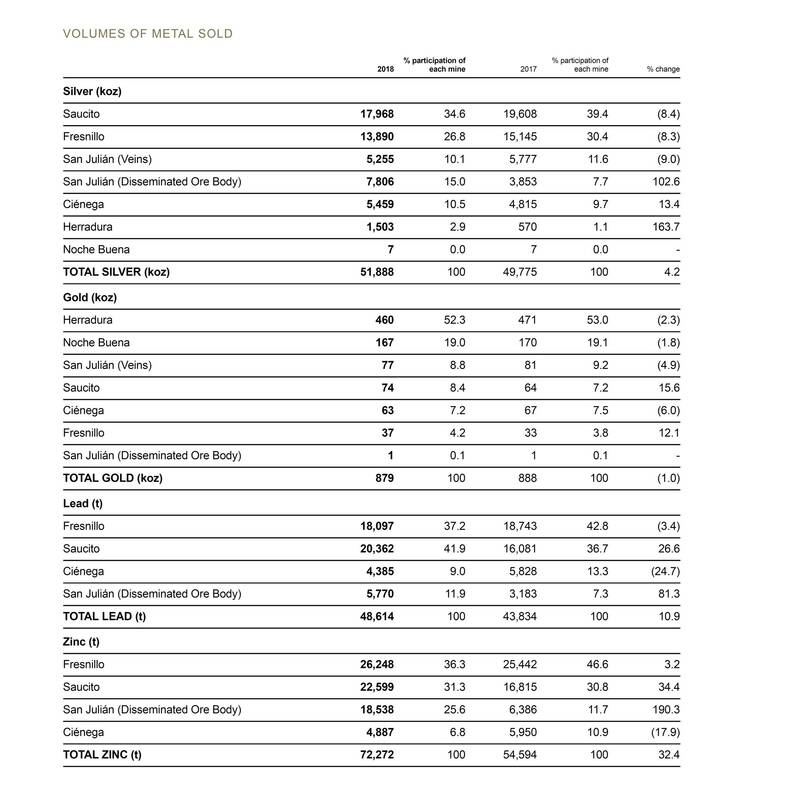 Gold Resource Corporation, updated annual reserve estimates as of December 31, 2018 at its Oaxaca Mining Unit in Oaxaca. Proven and probable reserves are 3,077,200 tons of 1.82 g/t Au and 127 g/t Ag (3.5 g/t AuEq) for a total of 180.3K Oz Au and 12.6M Oz Ag (346.6 g/t AuEq). Mineralized material (exclusive of proven and probable reserves) are 1,936,500 tons of 1.5 g/t Au and 125 g/t Ag (3.13 g7t AuEq) for 96K Oz Au and 7.5M Oz Ag (195.3K Oz AuEq). Azure Minerals Limited, appointed key adviser for the funding to develop its Oposura project in Sonora. Aloro Mining Corp., signed a new three year surface agreement with the Mulatos Ejido that allows Aloro to built roads for drilling and collar up to 50 drillholes. 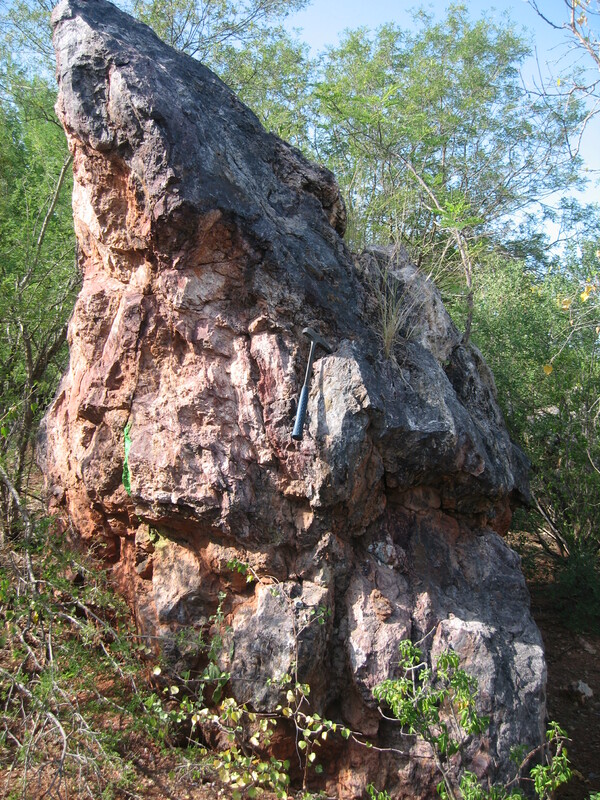 On the picture above, a hydrothermal breccia cemented by calcite-quartz in a low-intermediate sulphidation epithermal vein system in a project in Chihuahua, Mexico. Photo by Miguel A Heredia. Toronto, Canada (February 26, 2019) – Mammoth Resources Corp. (TSX-V: MTH), (the “Company”, or “Mammoth”) is please to provide an update on exploration activities at its Tenoriba precious metal, gold-silver property located in the prolific Sierra Madre precious metal belt in southwestern Chihuahua State, Mexico.